about any food you are craving. Pizza? Burgers? Go for it! Just maybe make that burger an open-faced burger, leaving off half the bun, and make sure to have that supplement food, such as a soup or salad, that will keep you from eating four slices of pizza to feel full. Because let’s not kid ourselves: “I don’t need another slice, I’m full” said nobody ever when it comes to pizza. 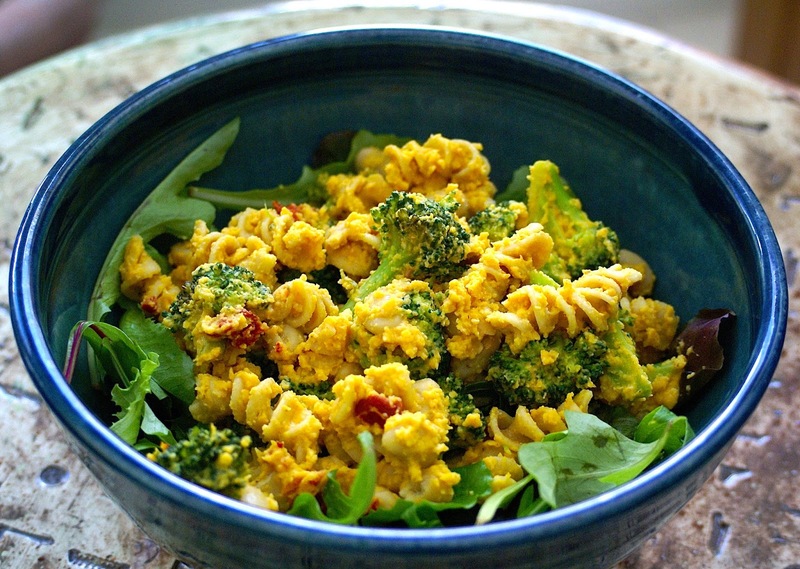 Get the recipe for One Pot Veggie Mac ‘N’ Cheese here! ingredients go into different foods. In our nation of fast food and food delivery services, it is all too easy to run out the door without thinking about what we will have for lunch. When you order food from a restaurant you are disconnected from the ingredients used to make that meal and therefore you can indulge in mindless eating, whereas if you prepared the meal yourself you might think twice before finishing the full plate. On my blog I offer many recipe makeovers that will help you feel good about what you eat. Knowledge is power, so once you take the time and energy to bake those cookies, you might think twice about inhaling half of them! If not for your stomach’s sake, to ensure they last because you probably don’t feel like making multiple batches of cookies in one week. Get the recipe for Classic Chocolate Chip Cookies here! 3. Don’t skip dessert. This is for all you sugar-loving, chocolate fiends. I believe it’s important to carry around a brownie or have some ice cream. Just knowing I have a little bit of my favorite treat waiting for me during the day makes me smile. I usually indulge in something sweet mid-afternoon when I could use a pick-me-up. If you want delicious recipes for all sorts or goodies that taste sinful but are actually healthy, browse out my recipe index. I have recipes for brownies, peanut butter cookie dough bites, cinnamon rolls, milk shakes, and more that will satisfy your sweet tooth without all the sugar, fat, and refined flours. 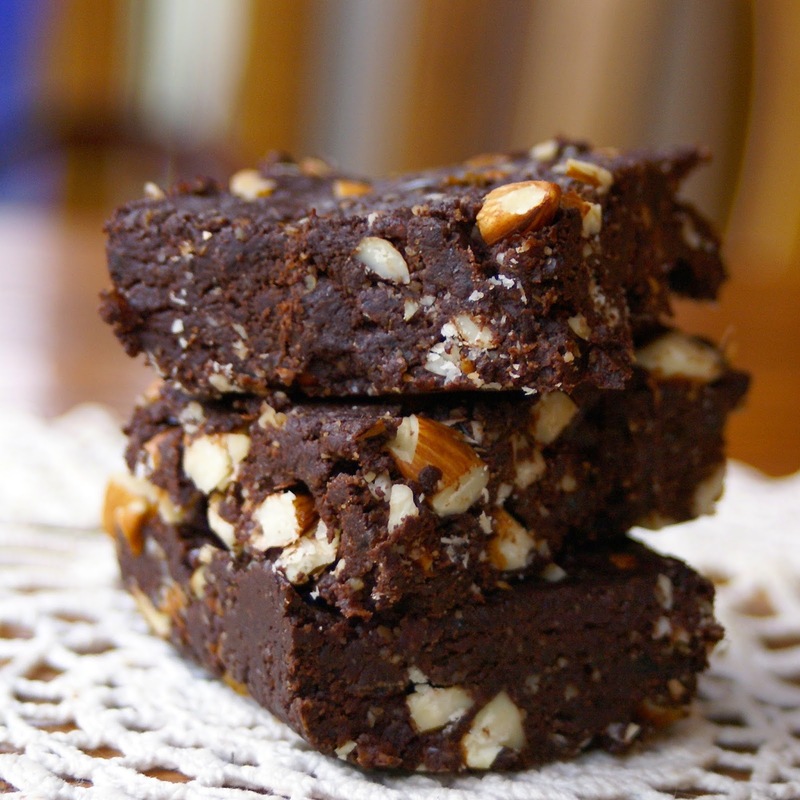 Don’t want to resist these irresistible brownies? Get the recipe here! 4. Make a salad. I know, you are shaking your head right now thinking how boring this is and how every health expert and doctor says you should to make a salad to be healthy. Let me correct my first statement. Make what you originally were planning on having for lunch into a salad. Forget healthy recipes for salads and ingredients like fat-free dressings and forge your own path to salad bliss. Take what you want to have have for lunch and turn it into a salad. It is much easier than you think, not to mention filling and delicious! 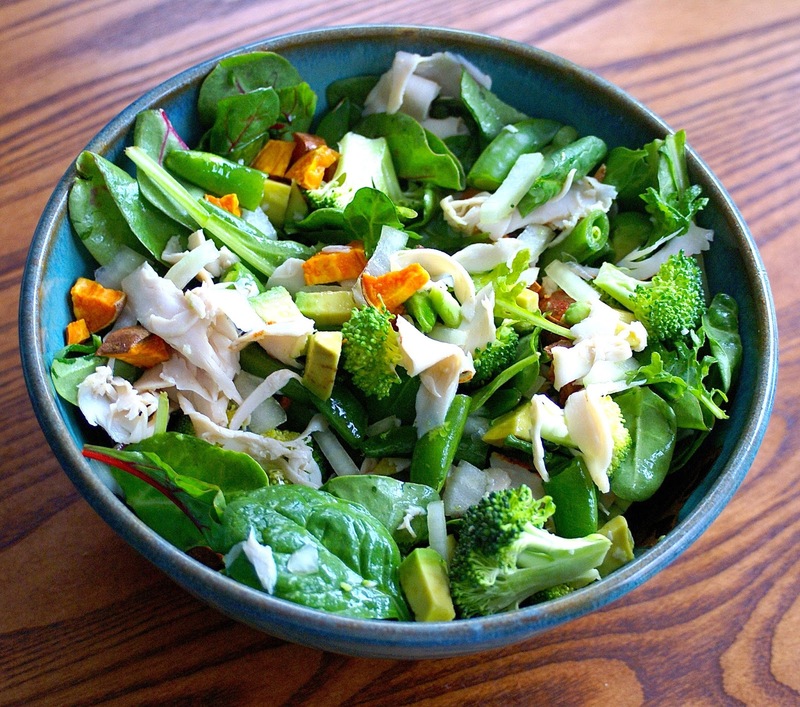 My typical salads include grilled chicken or tempeh, avocado, mixed baby greens, and diced apple. From there, I expand with different homemade dressings, more vegetables, grains, and sometimes leftovers from dinner. There is nothing too weird to add to a salad if it tastes good. Sometimes I mix in leftover pesto pasta, sweet potato fries, or cooked green beans. Why not? It keeps things new and interesting. What’s your favorite lunch? Chop it up and put it in a salad! 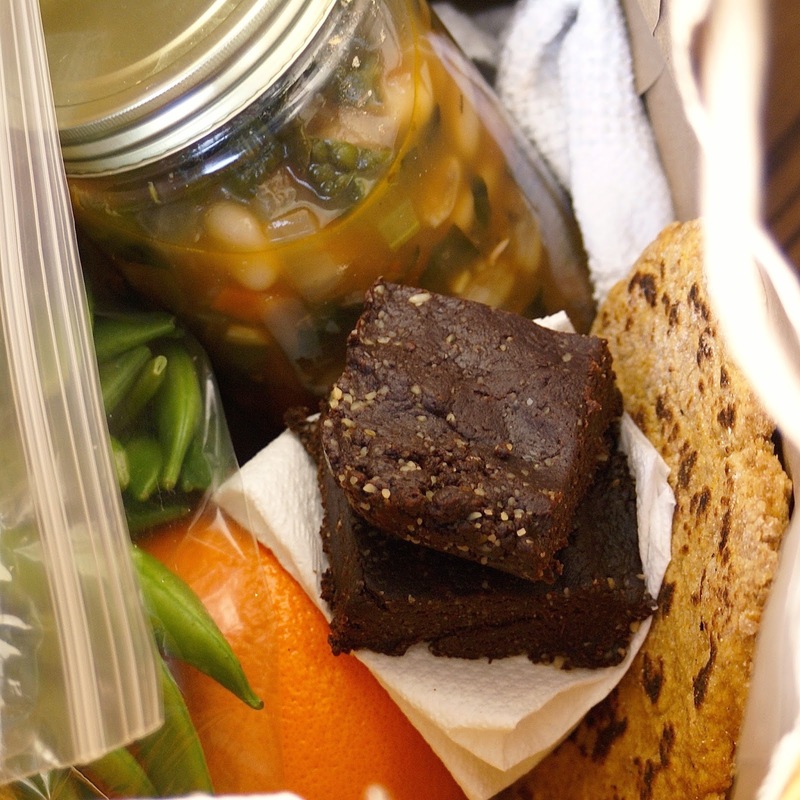 Who said a peanut butter and jelly sandwich is the only thing that you can brown bag for your working lunch?! Now, if I’m out and about, packing a jar of soup or leftover cheesy mushroom casserole might not be the best idea, but most offices today have a refrigerator and a microwave. Variety is the spice of life and will keep your lunch fresh and exciting! Soup is a great idea for winter. 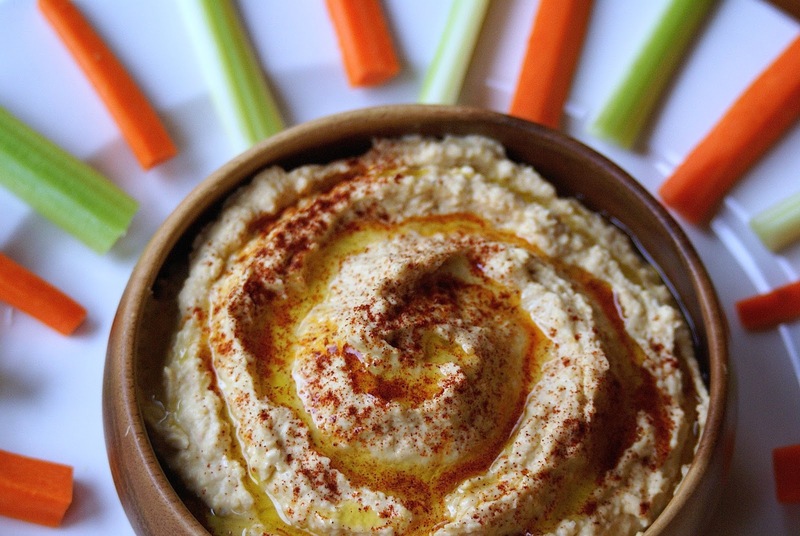 Pair it with some bread, fruit, veggies, and your favorite treat! fruits and veggies at the ready along with homemade muffins and granola bars. Try snacking on these fig newton pinwheels, banana oat bran muffins, or heavenly hummus and veggies! 7. Plan in advance. Pick a day where you plan all your lunches for the week. I like to do this on a Saturday or Sunday, when I have time to go to the store and cook. If you have everything made, bagged, and ready to go, you’re bound to have a productive and delicious week! 8. Count fullness, not calories. I know calorie counting is in, but counting calories does not teach you how to eat healthy. I believe the best way to lose weight and stay healthy is changing your diet, eliminating processed foods and eating plenty of fruits and vegetables. Worrying about the calorie content of everything you eat is stressful and also detrimental because some super foods, such as nuts and avocados, are full of calories, and therefore people avoid such amazing foods to keep their calorie count low. Everyone is different, therefore there is no way anyone can predict the correct amount of calories a person needs on any given day. If you teach yourself to listen to you body, you will understand what it needs. So ditch the diets and jump on the whole food bandwagon! Who said eating whole foods was boring? 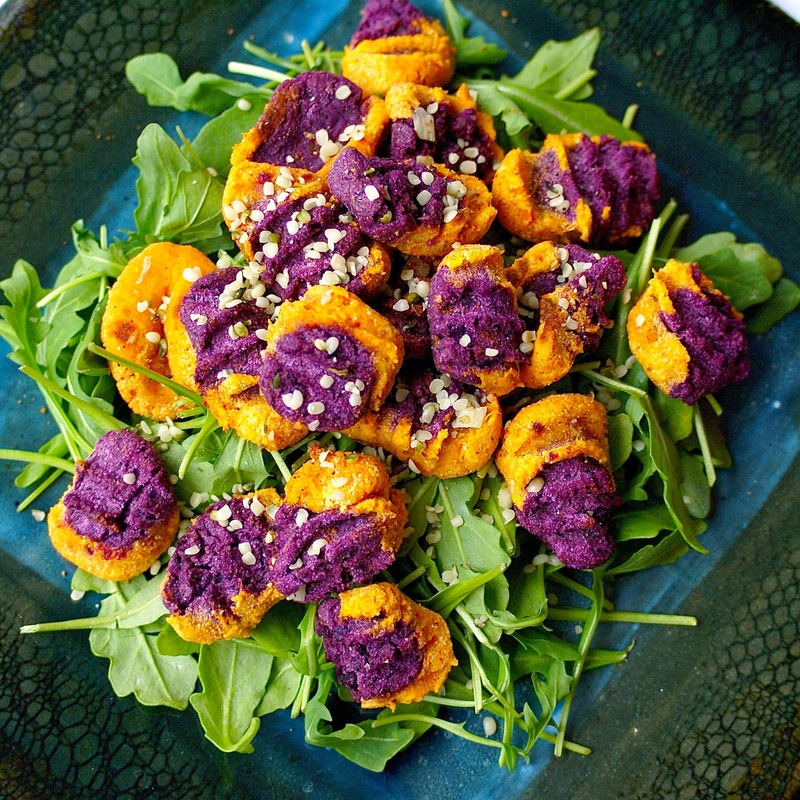 Look at these vibrant sweet potato gnocchi! Get the recipe here. whole-food lunches into work or invite friends over for a tasty and healthy spread, it is contagious. You might inspire more people to cook or bring their own lunch. Why not organize a pot-luck lunch once a week, where everyone can share their favorite home-cooking? You might just find a new favorite food. 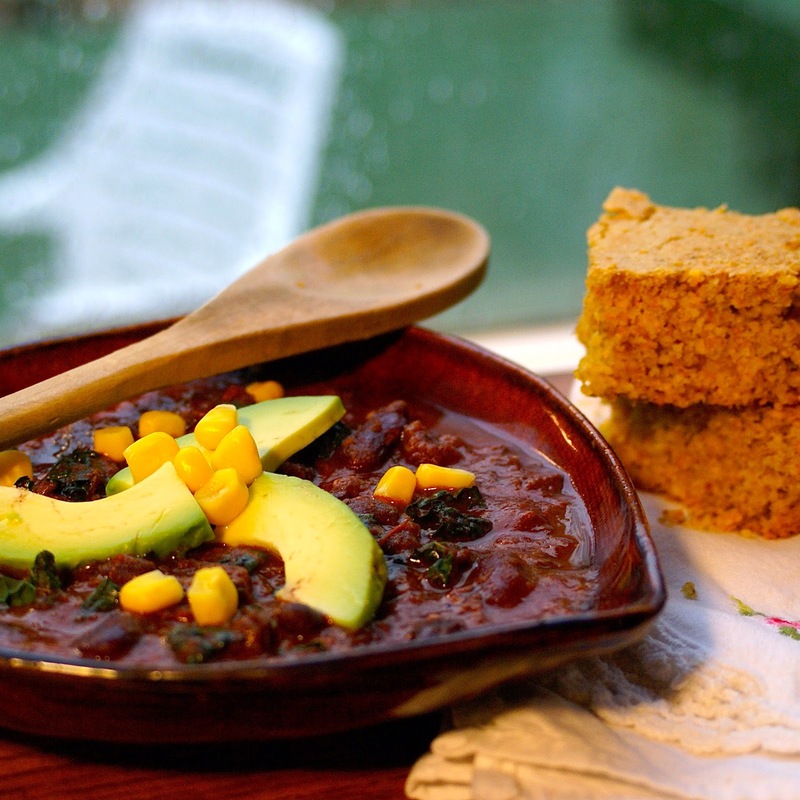 Get the recipe for southwestern chili here. 10. Go Online! There are so many amazing food blogs out there full of recipes and ideas. Spend some time browsing different food blogs and get inspired to make some new and flavorful lunches to spice up your day. Go to foodgawker.com, tastepostting.com, healthyapeture.com, or findingvegan.com and begin your quest for the tastiest food on the Internet. Just be warned…you might find it wonderfully addictive!